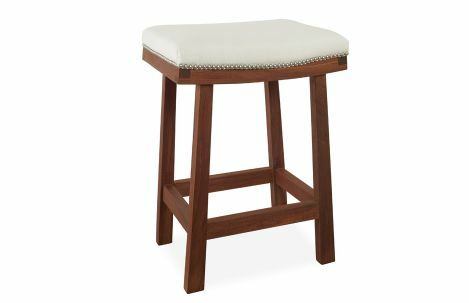 Outdoor counter stool with upholstered seat and oak frame. Outdoor counter stool with upholstered seat and oak frame. Standard with brushed nickel small nail head detail.